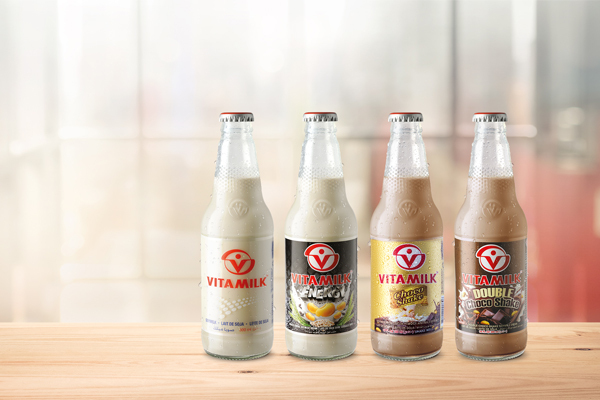 An online community of Vitamilk’s fans from around the world sicne its rich taste is preferred by consumers across the globe – from Asia to the US, Europe and Africa, beneficial for the health of both young and old. 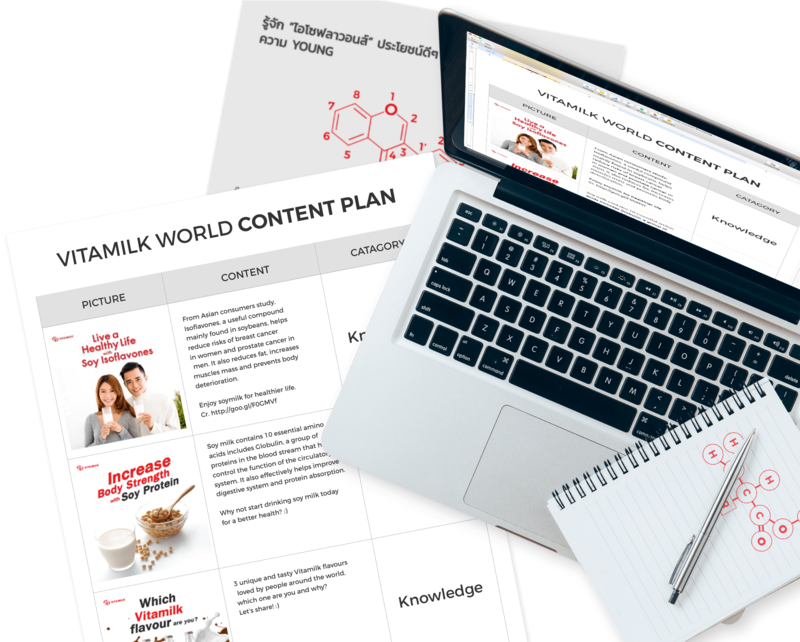 After a long period of success in Thailand soy milk market, Vitamilk plans to penetrate global market utilizing online channels to communicate the new products and benefits and also engage consumers worldwide through Vitamilk World facebook page. 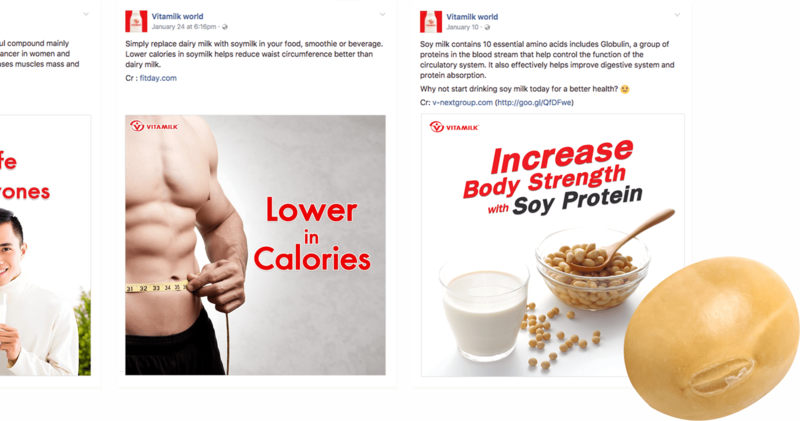 Original contents were developed toward the brand to increase awareness across the globe through informative and useful tips about soy milk while indirectly communicate the brand and its benefits in a more persuasive way. 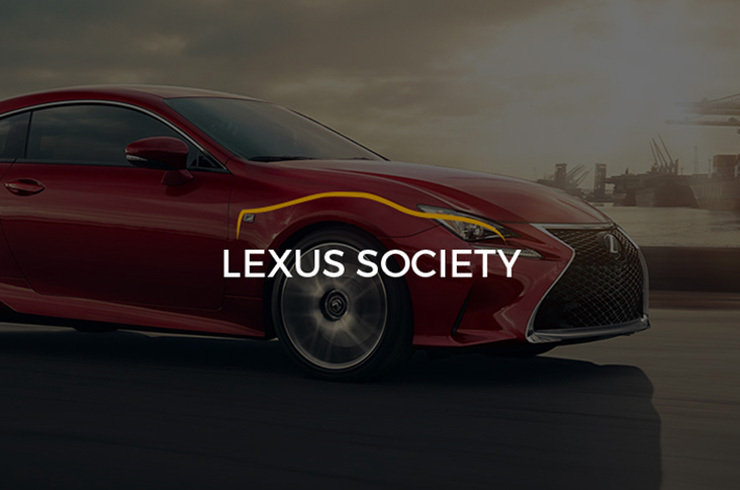 where appropriate to effectively and efficiently convey the messages to our readers. Undigested information on the product’s benefits and nutritions can be a pain point if we do not understand our readers and how to approach them. So we simplify complicated piece of information into a simple short post to be suitable for social media user behaviours.